The group stage of the 2011 Women’s World Cup has come to a close, with most of the traditional powerhouses moving through to the quarterfinals. We saw more parity than we’ve seen in the past World Cups: Nigeria got their first win, Equatorial Guinea notched two goals, and Australia moved out of the group stage for the first time ever. Here’s the best and the worst of the Women’s World Cup so far. F Marta, Brazil – The best player in the world certainly looked it in the group stage. She put in two goals, one where she took numerous cuts in the box in front of a Norwegian defender before nailing the shot. She also had two assists. F Marie – Laure Delie, France – The most consistent member of the French offensive force, she had two goals in the group stage and set up another. She didn’t get the start in the match against Germany, but it was her header that gave the French some life in the second half. 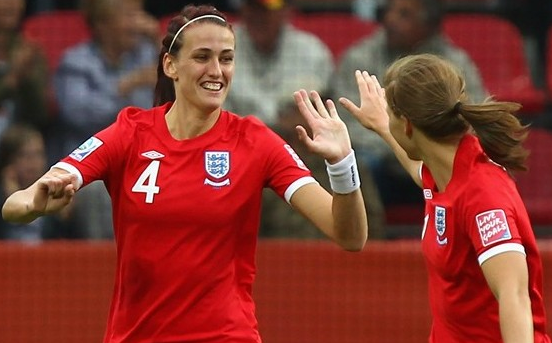 M Jill Scott, England – The female version of Peter Crouch is a bit more composed on the ball than her male counterpart. She used her height to score the tying goal against New Zealand in England’s second match, then assisted on the winning goal. She’s also holding down the central midfield for England while veteran Kelly Smith does some soul searching. M Kerstin Garefrekes, Germany – Tough in the air, she’s scored two goals so far with her head, and added an assist. She just missed another goal in the Canada game. Her hairstyle is a bit outdated, but her play is not. M Homare Sawa, Japan – Veteran Japanese player is not showing signs of slowing down. She has the most goals in the tournament (3), scoring a hat trick against NZ. She’s also showing her experience with calm play through the middle for Japan. M Lisa Dahlkvist, Sweden – Given the responsibility of handling the USA’s midfield without Caroline Seger, she stepped up to the challenge. She also calmly put away a PK against the USA and scored the winning goal against Columbia. D Alex Scott, England – A fierce player at right back for England, she’s given opposing forwards fits and pushed forward with speed. Her runs down the right side created numerous opportunities for England and she notched the assist on Jill Scott’s goal against NZ. D Babett Peter, Germany – Germany’s left back plays tight defense and won’t back down from a collision. She also pushes forward often and puts effective crosses into the box. Her free kick beautifully set up Garefrekes for her goal against the French. 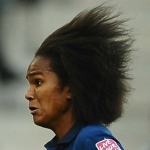 D Rosana, Brazil – She scored two goals as a defender and organized Brazil’s back line, making them the only team to put up only zeroes in the group stage. D Erika, Brazil – She was part of the strongest defense in the group stages. Her goal against Equatorial Guinea earns her a spot in the starting eleven. GK – Hope Solo, USA – The only US player consistently worthy of praise so far. She looked solid in goal despite a nagging shoulder injury. Hope looks confident on balls into the box, and she made some good saves in the first two games to keep shutouts. She can’t be at fault for the PK or the free kick against Sweden. How did she know that Le Peilbet decided to join the Swedish team? Canada – Really Canada? Finishing last in the group? Losing to Nigeria? Giving up four to the French? Canada looked like they had it all together in qualifying when they won the CONCACAF region, but they fell apart on the world stage, scoring only one goal, a Christine Sinclair free kick against Germany. Most thought that would give them some energy to face France and Nigeria, but apparently it was all they could muster. Australian goalkeeper/defense – The Aussies have looked incredibly vulnerable all tournament. They gave up 2 goals to Equatorial Guinea, and just looked ugly on the goal by Norway. When you’re waiting for the ball to come into the box, you’ve got to know where the late forward is. Miscommunication led to that goal, and it will lead to more in the quarterfinals if they don’t get it together. 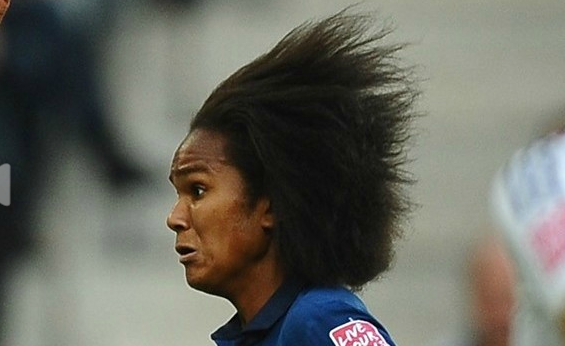 French Defender Wendie Renard – She looked shaky against Nigeria and Canada. Germany exposed her weaknesses. She let forwards step in front of her to win the ball, she stepped up without communicating without her other central defender, she let crosses drop in the box. Also, you’re playing soccer, do something about the hair! Missed handball call – HELLO! The only person on the field that’s allowed to pick up the ball and hold it is the goalkeeper. Plain and simple. There’s no way that call should have been missed, it was directly in front of goal. That referee should not see another game in any international tournament. And to the Equatorial Guinean defender, what were you thinking?! This World Cup is off to a great start, and with the uneven play we saw during the group stages, look for some upsets as we move through the knockout rounds. I cannot believe Necib didn’t make the best XI list. Unbelievable.